More about iittala Toikka Cranberry Tern When production moved from Nuutajarvi to Iittala, the Cranberry Tern replaced the Red Tern. 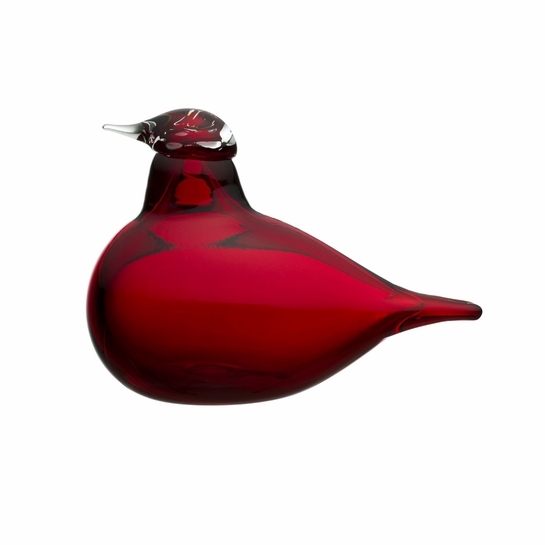 Toikka collectors will be happy to know this stunning rendition shares the same plump body, tapered tail, delicate beak and utmost attention to detail. Designed by Oiva Toikka and handcrafted by iittala's master glassblowers in Finland, each little tern is unique but every one reflects the incredible work of the entire team.